Blackwood Motors, specialists in diesel, American and muscle cars and pre-purchase checks. 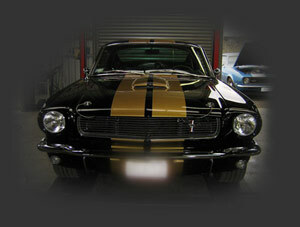 Blackwood Motors has been operating for over 20 years mostly repairing, servicing and racing American Muscle Cars. I also work on European/British V8's and have developed and raced small block Ford V8's as well as Chev's and Porsches. I do not confess to know it all, but have probably experienced most problems or breakages and will have a good idea of how to diagnose your car's problem. At my Christchurch workshop I service, tune, and restore American vehicles, young and old. I can also organise compliancing if required. If you live outside of Christchurch (or just aren't sure what you're looking at) and thinking of buying a car in Christchurch I am happy to go and do a pre purchase assessment for you for your peace of mind. Feel free to call and discuss or drop us an email to arrange your pre purchase check. So for honest and reliable advice or service contact me, and I will give you my honest opinion or advice where to go shopping for parts or service, with my many contacts throughout New Zealand.